The Rural Health Network was established in recognition of the need for a coordinated approach, involving rural health service providers and consumers, in identifying, reviewing and monitoring innovative practice and appropriateness of models of care, including access through technology, for potential implementation in rural communities. Provision of health services in rural areas face challenges due to geographic, workforce and resource restraints. Facilities are smaller and have less infrastructure; there are less locally available specialists and a higher dependency on primary care services. In October 2012, the NSW Government announced the establishment of a Ministerial Advisory Committee for Rural Health within the NSW Ministry of Health to ensure that the unique needs of rural communities are heard and that rural health policies are monitored and evaluated. Visit the NSW Ministry of Health - Rural Health website. ACI and the Rural Health Network are a collaborative body which work in partnership with Local Health Districts (LHDs), Consumers and other rural health service providers in providing advice to the Rural Health Priority Unit and the NSW Ministry of Health to inform development of policy, models of care and clinical pathways for rural communities. Special Interest Groups are established as required to undertake some of the key priorities identified by the Rural Health Network Executive Committee.Some of these have included The NSW Telehealth Guidelines, Regional Hospital Avoidance Compendium, the Annual Rural Innovations Changing Healthcare (RICH) Forum and the Living Well in Multipurpose Services (MPS) Advisory Group. ACI have 27 Redesign Leaders funded within the LHDs to assist with capability building for staff across the health system, primarily in the areas of skills for innovation, redesign and change management. Redesign Leaders can be contacted to ascertain what projects are currently underway within a LHD, or for assistance in locating designated health staff or project managers aligned with specific fields of work. An Executive Committee provides strategic guidance for the activities of the Rural Health Network and collaborates with rural LHDs, their clinical councils, executives and boards to consolidate views which will support the Rural Health Priority Unit in development of policy, models of care and clinical pathways for rural communities. The Executive Committee term of office is for up to 5 years. See Executive Committee Membership. The Network has 550 members, many of whom have indicated willingness to participate in Special Interest Groups as the need arises. When you Join the Network you subscribe to the ACI Rural Health Webgroup and will receive rural health information (scholarships, training opportunities, funding and grants, Ministerial updates, conferences). 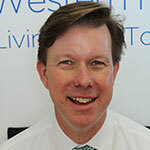 Richard has an undergraduate qualification in Medical Laboratory Science, postgraduate qualifications in Nutrition and Dietetics and has held many roles in his 24 years in rural health; currently the Director of Allied Health for the Western NSW Local Health District. Richard provides advice and strategic direction on issues, innovations and models of care for rural, remote and regional practice to LHD Directors, the Chief Executive, NSW Ministry of Health and the NSW Health Pillars. Pat is a retired Company Director living in Port Macquarie, has served as a Consumer Representative on the Mid North Coast Community Reference Group, former Chairman of the Hastings Macleay Network Clinical Safety and Quality Committee and numerous Port Macquarie Hospital Safety and Quality working parties since his retirement 10 years ago. Both Richard and Patrick have been members of the ACI Rural Health Network since it’s establishment in 2013.